We are a small friendly book store stocking a unique selection of rare and out of print books. 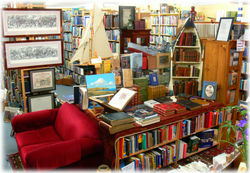 Currently we are searching for a suitable new location but have had an open book shop since 1998. Art & Books is an online business. 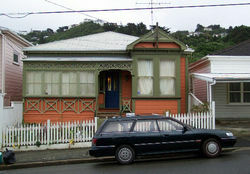 The business is run completely from my home in Dunedin, New Zealand. Years of collecting old and very old books,,addicted I'm afraid! Now time to share them with those like minded people. Happy to help with questions. Book Haven is a small, neighbourhood book store focusing on good quality books for reading. Bookman Wanganui has been selling rare and used books since 1985. BOOK.MARK carries a large inventory of most subjects, the majority of which are not listed on the Net.Open 7 days.Shop has a great atmospere and plenty of memorabilia and curios to add to the pleasures of browsing the shelves. Est 1999 e.v. and specialising in the occult, new age and metaphysics as well as religion and mythology, we also stock general fiction and non-fiction. Our shop in Shand's Emporium was lost in the 2012 earthquakes, and we are currently mail order only. We have had many years serving a large customer base in New Zealand and Overseas. We now work from home. Lost Books is a small, but slowly growing online book seller which was started purely to sell books culled from the owners collection. Finding this to be a lot of fun, we just continued. We are a home based business specialising in 2nd hand and out of print children's books. We are a home-based business trading successfully for several years.New Zealand is a great source for the categories of books we are trading in. Paua Press Limited was formed in 2007 to publish books on topics of interest particularly related to the moa and fluoride toxicity. The store also stocks some historical books on New Zealand published by the Hocken Library, University of Otago, New Zealand, which are not longer in stock for sale at the Library. I love antique New Zealand books. Occasionally while I'm on the hunt for my own, I find other great books I think someone else might be interested in. I'll list these here. I'm not a professional book-seller, but I'll try and be as fair as I can when it comes to prices. A home-based business trading successfully for a number of years. New Zealand proves a valuable source for collectable books. Internet only sales of used, hard to find and out of print fiction and non fiction titles. Dealer in good quality books. Especially Man Booker Prize winners - signed first editions, vintage childrens\\\' books and important New Zealand books such as those by Janet Frame. Prices are not set in stone - contact me if you want to haggle or submit a reasonable offer. Trash and Treasures Second Hand Bookshop is in lovely Palmerston North, New Zealand. First established in 1996, we continue to stock a wide range of excellent quality second hand books, magazines, puzzles, DVD's, CDs and games. In addition to the usual genres, we also specialise in military non-fiction, New Zealand fiction, and New Zealand history. The best books you've never read. Willow farm books sells readable books focusing on popular children's authors from the period 1920 - 1970.